Xiaomi has eventually launched its highly anticipated successor to Redmi Note 5 Pro, the new Note 6 Pro. The phone will be launching in India soon and will go on sale eventually on November 22, 2018. The Note 5 Pro has been a very popular mid-range, budget smartphone and it’s no doubt that its upgraded version will be equally famous as well. But considering the present competitive rivals, then Redmi Note 6 Pro will have a task of beating the likes of other mid-range contenders, Asus ZenFone Max Pro M1, Nokia 6.1 Plus, Motorola One Power, and Honor 8X. Now, talking strictly about what new things are there in the Note 6 Pro, then it also now has a notch-display of 6.26inch Full HD+ screen, having an aspect ratio of 19:9, and also there is a 2.5D curved glass. It’s got a slightly larger dimension and screen size than Note 5 Pro. The screen resolution is 1080x2280p, with a maximum brightness of 500 nits. The odd thing is that the processing chip has not been updated at all! Yes, the Note 6 Pro has the same Qualcomm Snapdragon 636 octa-core chipset. Why? Only Xiaomi can answer this. It’s not that the 636 chip is outdated now, but when you upgrade a phone so much popular, expectations are always high. Snapdragon 660 should have been given by Xiaomi this time. Maybe they have a habit of maintaining the same chip in all its phones for a specific time period. It could have even opted for a MediaTek Helio P60. Moving further, the durability of performance is ensured by a large and dependable 4,000mAh battery, which also supports up to 10W of charging. That means you can boost it from a fast charger also, like Qualcomm’s Quick Charge. Coming to the storage and different variants in India then the Note 6 Pro will be coming in two models, one with 4GB of RAM and 64GB of internal storage, and the other one with 6GB of RAM and 64GB of internal capacity. Android platform is of Android Oreo 8.1, layered with Xiaomi’s own popular, and latest MIUI 10 theme. But it will surely get the Android Pie 9.0 update soon after its release. MIUI always provides a lot of customizations and features to the users. The Note 6 Pro has the fingerprint sensor and also the feature of AI Face Unlock, that also works fast and smoothly. It doesn’t come with 3D imaging technology though, so that may be a loose end—but that’s okay for now. Now, the most important aspect of the phone comes which is inevitably the camera. Well, the optics may not have been upgraded on this one too, but the cameras’ photo quality surely has. Which means you will be really and highly impressed by its picture taking capabilities. The phone has a dual rear-camera setup (just like Note 5 Pro and even the flagship killer, Poco F1), with 12MP autofocus lens + 5MP secondary depth sensing lens. Both the lenses have a wider aperture of f/1.9, which allows more light to come, resulting in greater picture quality. The surprise is on the front though, with a dual-selfie camera of 20MP+2MP lenses. So it can take portraits also with better accuracy this time. So, that was the full detailing on the Note 6 Pro, and if you want to upgrade from Note 5 Pro, or want a new phone, then you will have to be on high alert, since Xiaomi phones get sold out in sales, like hot cakes. 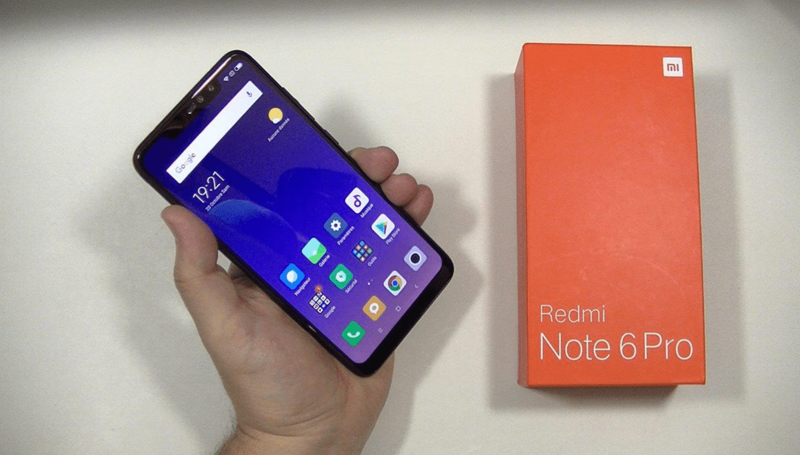 Redmi Note 6 Pro will go on sale on November 22, 2018, in the Black Friday Sale.